This Master Glossary is provisional. 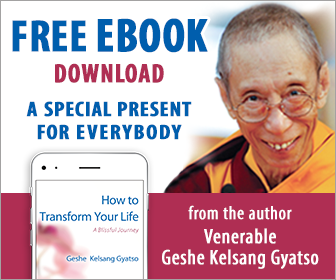 It is not to be used for anything other than translation or private study, and it is not to be reproduced in any form or in any language without permission from Geshe Kelsang Gyatso and Tharpa Publications. Where any of the terms in the glossary are explained extensively in Geshe Kelsang’s other books, this is indicated in the glossary entry. Select a letter from the list below to find terms.